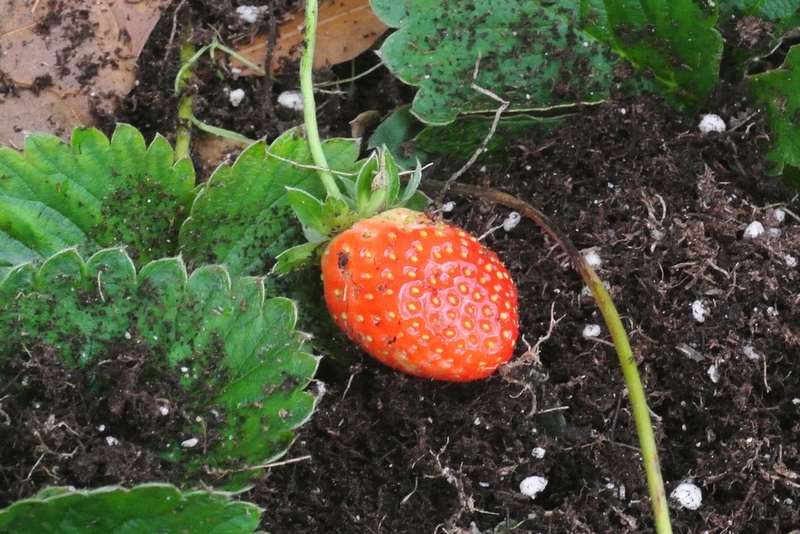 I started picking my first strawberries in late December…not really enough to call a harvest but those that survived the trip from garden to kitchen were cleaned up and placed in a freezer bag. I tend to snack on the goodies when out in the garden, berries, snap peas and now the asparagus spears that are poking through. Thanks to a Valentines gift from my wife several years ago I have a little sink with running water in my garden. A quick rinse and I have a garden fresh snack. I don’t believe this one survived the trip into the kitchen. 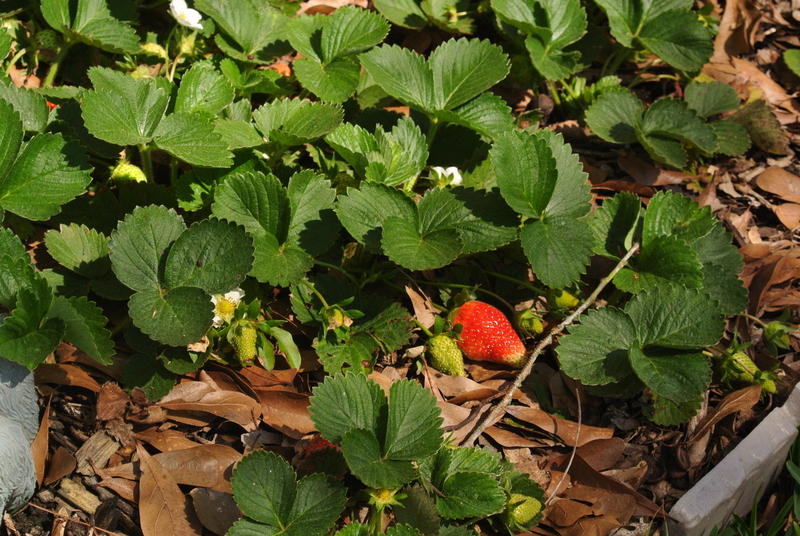 March has been a better month for strawberries and based on blossom count April should be awesome. I celebrated the first day of spring yesterday by whipping up a batch of strawberry jam. Results, 6 – 1/2 pint jars, 2 – 1/4 pint jars, 1 – 12 oz. jar and a miscellaneous sized cute jar found in amongst my canning supplies. FYI, I use the “SureJell” low sugar pectin and recipe as it allows, in my opinion, more of the fruit flavor to come through. Yum! I decided to label my jars with the label being used for my honey. The design for “Bishop’s Bees and Honey” is under revision….I hope to have a new logo and label design before first honey harvest around May 1st! By the end of April I should be managing 12-13 hives. I still have swarm traps out so that number could grow. I am more excited about those numbers than my wife is, but, she does do an amazing job selling my honey. My “honey” really knows how to move my honey! 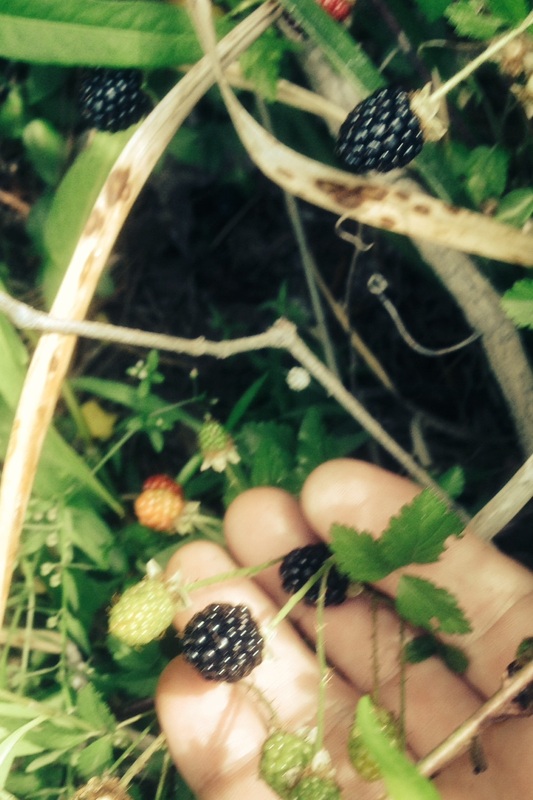 Another brief note on berries…….the trails around our area are covered up with Dewberry blossoms. Dewberries are a small but tasty blackberry that grows wild here. This is the most amazing display of blossoms in the 12 years we have lived in Kingwood. I am looking forward to the harvest time….should be a good one. Just a sampling of what is to come. My postings for the past couple of months have slowed a little but I have tended to some of the chores! • Spreading compost from the bin on the right and turning the bin on the left. • Son Ben did a fantastic job adding gravel around the edges. Looks great! An early and well appreciated Christmas gift. • Turned ad prepped the bed for potato planting. • Cut back the Asparagus ferns and added a layer of compost and leaf mulch. Gotta love Houston, two days ago I noticed several young shoots about 6 inches above the mulch…my reward for taking care of the bed. NOW GO TO SLEEP DANG NABBIT! • Carrots and sugar snap peas have emerged from the late fall plantings. 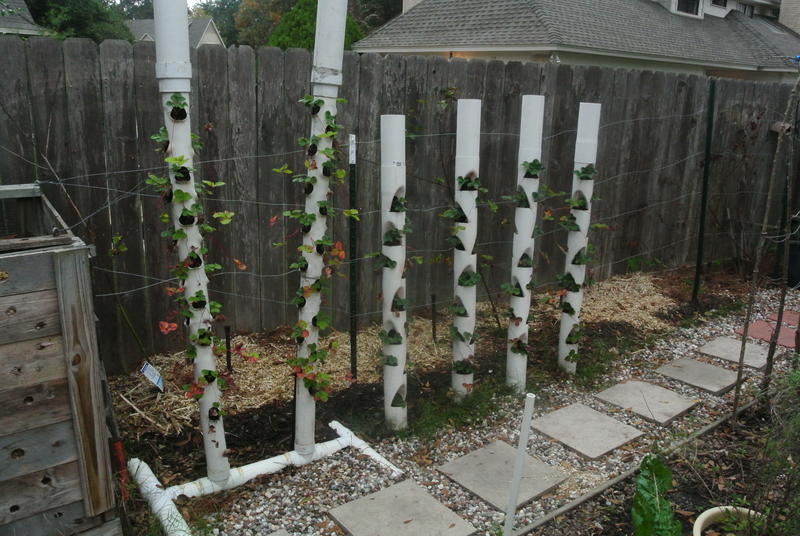 • Planted 6 Blueberry plants and 8 replacement bare root blackberry plants – Ben was a little overzealous when he added a pvc irrigation line in the blackberry bed. We had a good laugh! 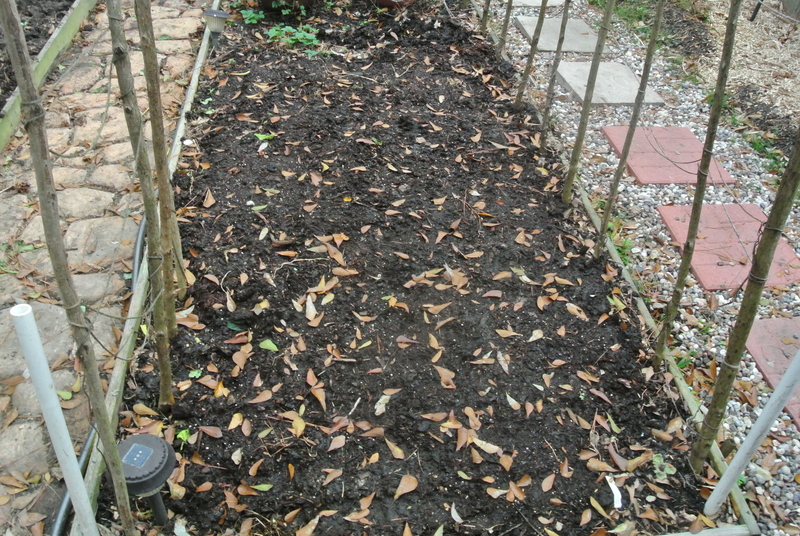 • Planted more Chard and Beet seeds yesterday as well as some red onion seeds in the front portion of the potato bed. 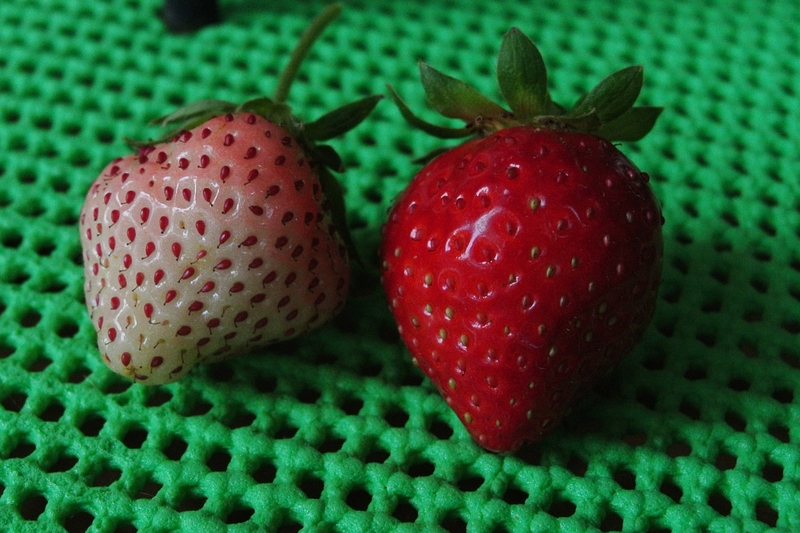 December 4th I ate my first ripe strawberry – way too early, it was kinda small and misshapen but it was sweet! Inspection yesterday showed numerous blossoms and a few dozen green berries trying to fill out. It may be another stellar strawberry year and maybe, just maybe a few more jars of jam to share. TTFN & Merry Christmas – share something wonderful with those you love! I haven’t written much lately about the backyard garden but it has been slowly morphing into a winter garden. I harvested the last cucumbers two weeks ago because I knew that the Houston winter temperatures were coming. On the vines were a few edible and nearly a dozen immature cukes that became worm food. The sweet potato vines finally showed their dislike for anything below 50 degrees F. They weren’t grown for tubers this year, but they did provide great ground cover. 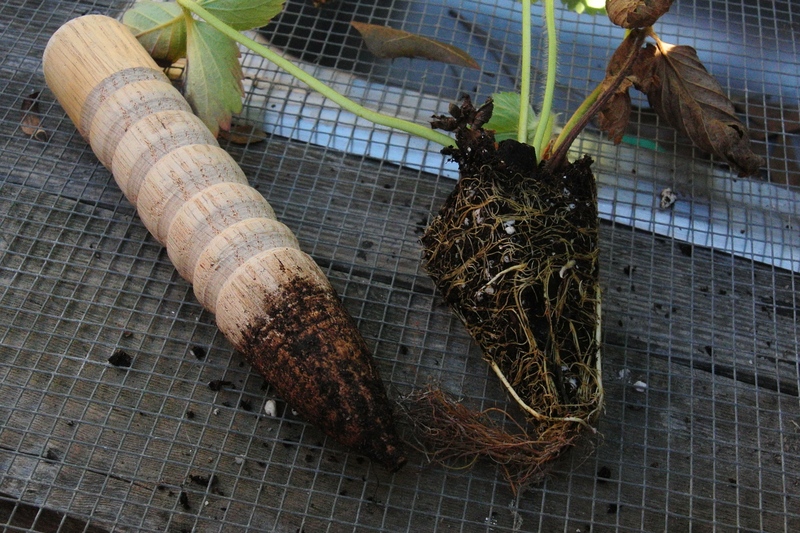 I found a couple of nice sized tubers and a bunch that were restricted by the heavy soil to elongated sausage looking things. The dying tomatoes were pulled up along with the Poblano pepper plants. I left the Serrano peppers in as the plant is still setting fruit. I made a batch of Serrano Pepper jelly last week and may make another batch soon. This week I also made a couple of pints of lemon curd from my Meyer Lemon tree. What an amazingly rich treat – 4 very big lemons, 2 cups of lemon juice, at least 2/3 cup of zest, 12 egg yolks, two sticks of butter and two cups of sugar… I am afraid to calculate the calories per teaspoon! I will send a jar to my granddaughter – she loves it! Over the past two weeks I pulled about 2 large wheel barrow loads of compost out of my bins to amend the beds. I fed a bunch to the asparagus bed hoping to get it producing better during this next spring. I added a bunch to a section of the beds that I have designated as the carrot patch. 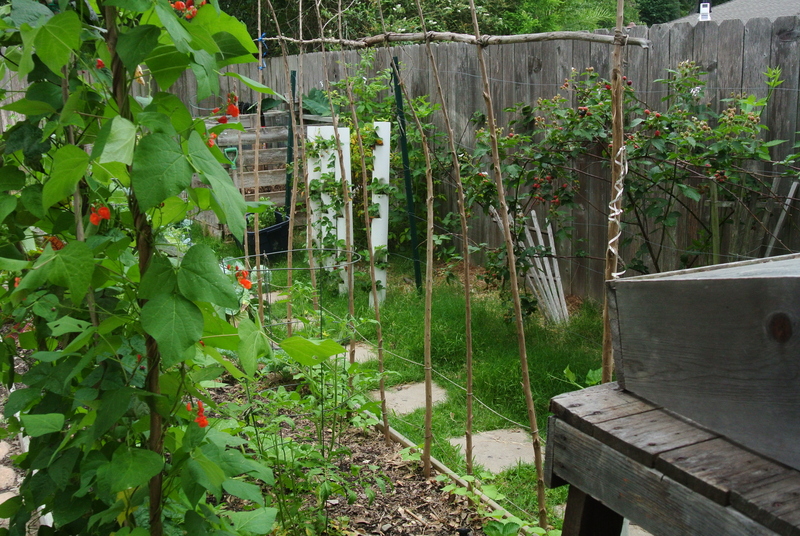 That same bed is also home to my sugar snap peas – hopefully this planting of peas will be the one that produces. I tried on two previous efforts to get them to sprout and the cool weather never showed up. They don’t like warm weather! I hope I didn’t miss the weather window! 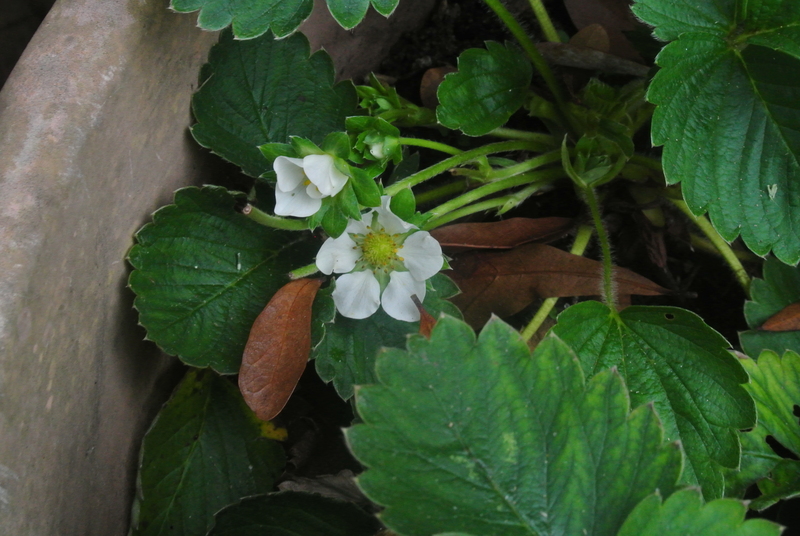 Some of my strawberry plants are confused. Weeks ago I had a number of them blossom and I plucked the blossoms off. After traveling and working for a few weeks out of town, I ignored them. I now have green strawberries – about 3 plus months too early! 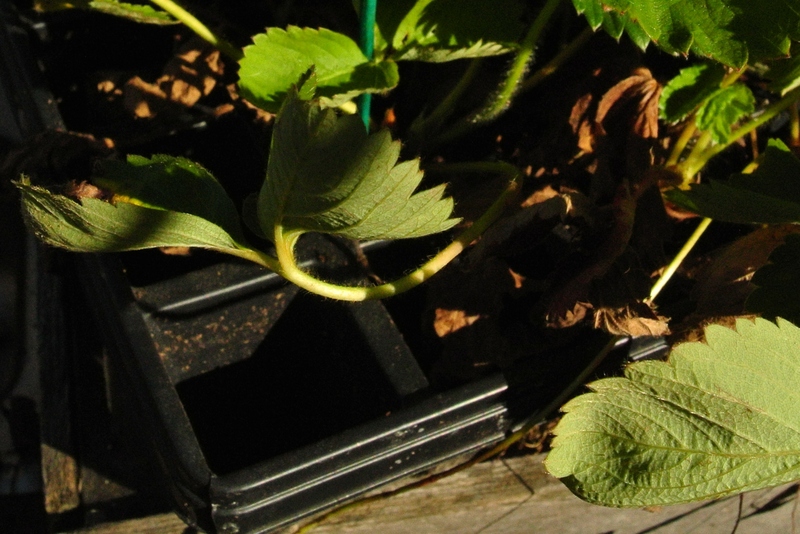 My 100 new strawberry plants planted in early October have settled nicely into their new home and will hopefully bring me a couple of good years of harvesting pleasure. I have four pineapple plants started from tops nearly two years ago. They are now beginning to leaf out vigorously and who knows, this may be the year. A little research says it takes 2 years and maybe more if it is cold, in order to flower. The leaves look like they are becoming mature so this could be the lucky year. I put another top in the ground a week ago to add to my collection. According to the research the buggers will start spreading on their own. May wind up with 30 or 40 before long. My little buddy Caleb and his now walking little brother Levi, stopped by for a visit a few days ago. Caleb is ALL boy….gotta keep an eye on him. Levi loves to munch on cucumbers off the vine and the cherry tomatoes, not so much for Caleb. They both enjoy the strawberries when they are in season. I hope to have them back this week to help plant my beets and turnips. I was in the process of harvesting the worm poop and adding another bin to the top of my worm composting bins during their visit. Being boys….they both loved touching and playing with the little wrigglers! Mom wasn’t as enthused or amused as the boys were! I sent them home with a couple of long stemmed roses for their mother……she left smiling! The new carrot patch….waiting for the emerging tops. 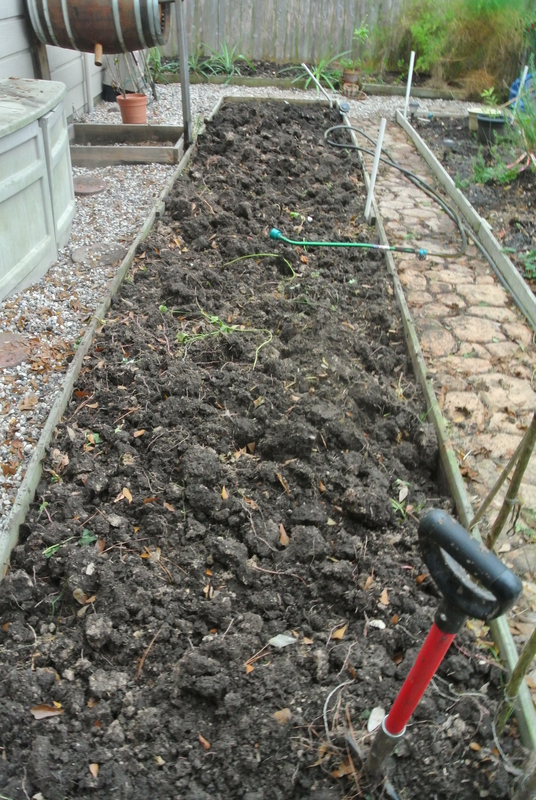 The old sweet potato bed – cleaned out and what next ???? 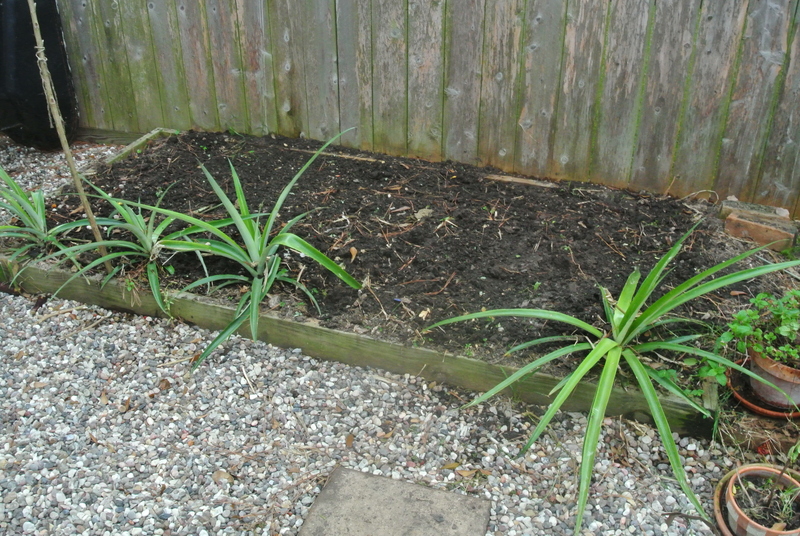 Pineapples – hopefully this year they will fruit. Strawberry towers planted with about 75 of the 100 new plants. That is a bunch of technical gobble-di-goop that means I made a liquid feed sprayed on the leaves of my plants using the liquid that comes off the bottom of my new composting bins. I am now using “Worm Factory Tray Worm Composter”. It has a spigot on the bottom that allows me to collect the liquid leachate or as some call it “Worm Tea” off of the bottom. 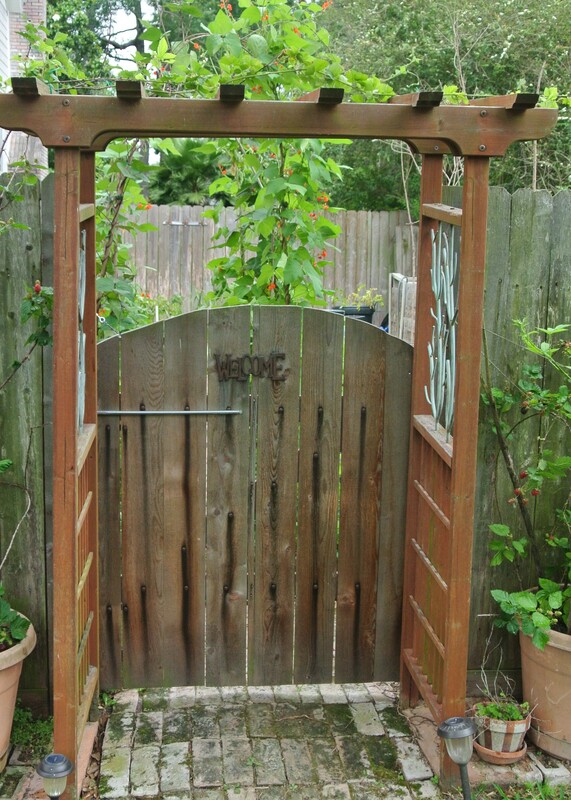 Many of the gardening forums are kind of split on the value of collecting the leachate and some say it is an indication a system that is too damp. The design of the “Worm Factory” lets the liquid to drop to the bottom and out of harms way and I am good with that. 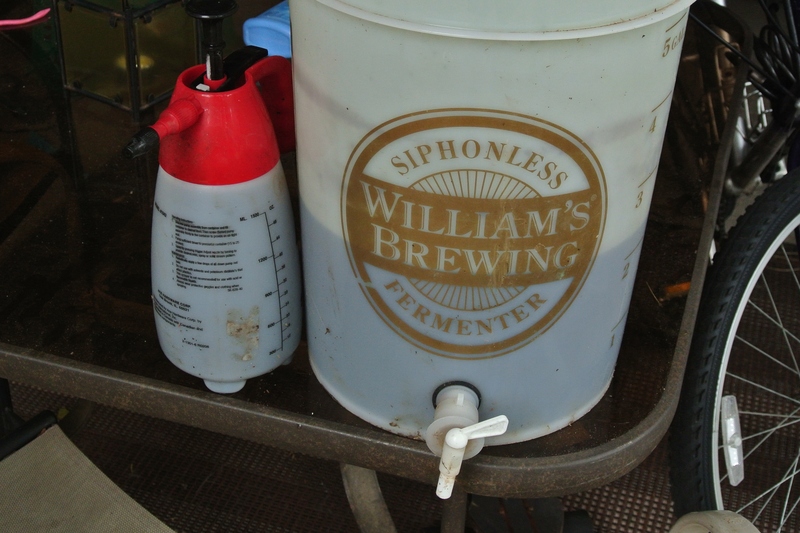 I used an old beer fermenter that had some deep gouges on the inside…good place for bad critters to hide that can give your beer off flavors …. or worse! A small aerator with a small air stone I have used in my bait buckets provided the tiny bubbles. The molasses provides some food for bacteria to grow….the web has lots of don’t use molasses and some say use molasses and I just do what I want….sprayed the plants two days ago and none of them appear to be complaining today. In Houston….avoid spraying your tomato plants….it could increase the chance of disease. I just poured a litle on the soil beneath the plants. Mixing bucket and my litle sprayer. 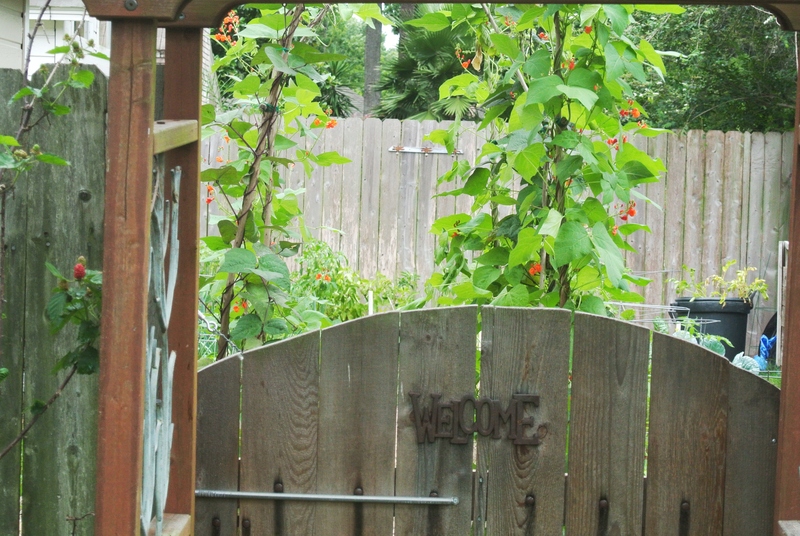 Gate to my garden with the pole bean arches seen behind the gate. 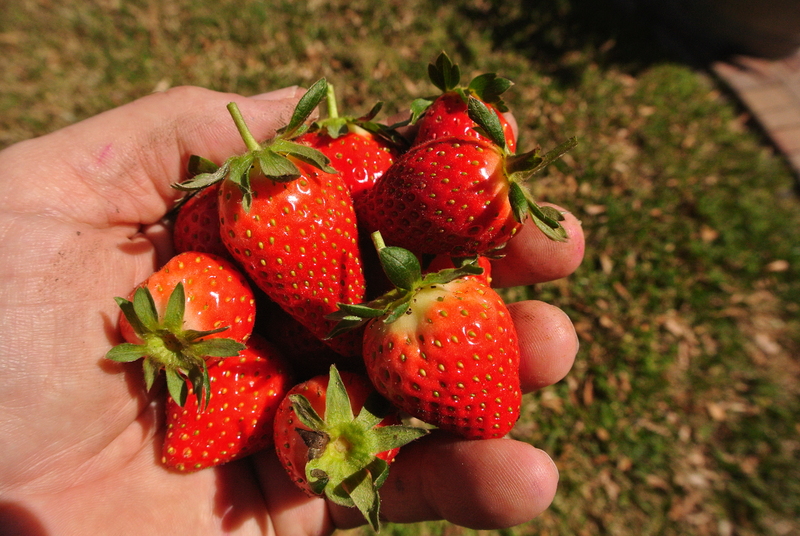 The second round of the strawberry harvest is under way now. They tend to be a little smaller bur I think sweeter. The blackberries are ready to start picking. I should have enough blackberries to make some jam if the the birds and my wife don’t eat too may fresh of the vine! Tomatoes, yes, homegrown and vine ripe tomatoes are finding their way into the kitchen now. Life would so empty without “real” tomatoes, not the gassed store bought varieies! My peppers, Serrano, Poblano and Bell type are all doing well. I had higher hopes for my asparagus this year!!!! Not sure what is up with that harvest. Last year was outstanding. The pole beans are climbing and producing very well. I still have Swiss Chard that looks good even in the Houston heat. Yesterday was a light day in the garden in terms of labor. I only soaked through two T-shirts! I am always pulling weeds, that is a given. I added some soil to a couple of the potato bins, i.e., grown above ground in containers. I will get a harvest in another 20-30 days it appears. I added some grass cuttings to my compost bin and then layered in some brown material from the other bin. I will check temperatures of the pile today. The addition of grass clippings really heats the pile up. Heading out in a few minutes to pick before it gets “way too hot”.